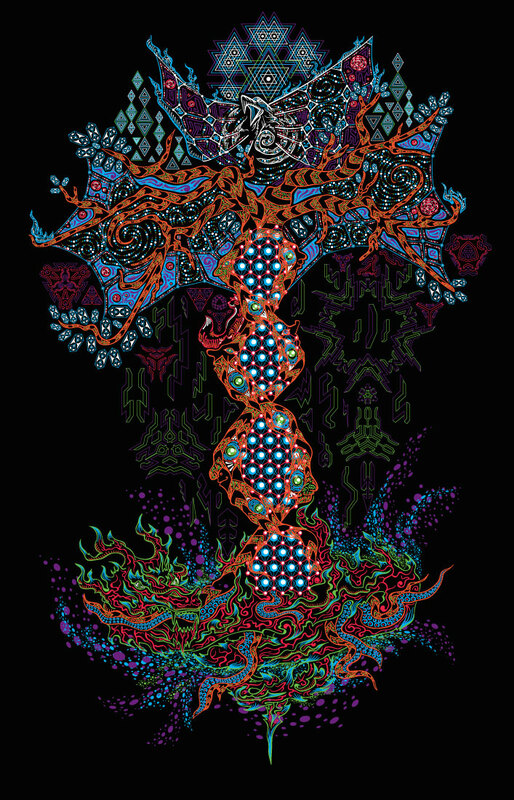 I have some good new for my buyers :) I’ve recently started a preorder of my new fluorescent psychedelic t-shirt – Yggdrasil the Tree of Life. Below are the details of the preorder process. The links will all lead to the corresponding pages on Etsy where you can place your order. The special preorder price is $30 per t-shirt. If you preorder 5 t-shirts the price is $27 per one tee ($135 total). If you preorder 10 t-shirts one tee will cost you $25 ($250 total). Here is the preview of the future t-shirt. You can click it to enlarge the image. – When does this offer expire? – The pre-sale ends on May 15th. – When will the t-shirts be produced? 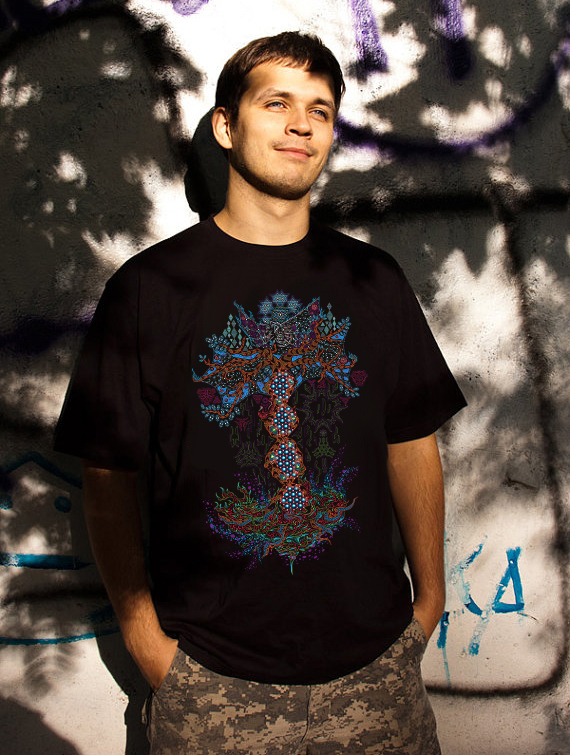 – The first run of the t-shirts will be finished in early June. – When do I get my t-shirt? – It usually takes about 2-4 weeks for international delivery. So the latest time to get the t-shirt is early July. If you need a t-shirt for a lady, simply add a note to your order. If you have any questions, feel free to ask within the comments. If you are all set, place your order in my Etsy shop!